As a child I always longed to make my parents proud. I wanted to be their best daughter. The perfect one. The pride in their eyes, the joy of their smiling faces, meant the world to that toddler in me whose world was just parents, family and a few friends. As I grew up I struggled hard to maintain the ‘best’ tag. I tried my best to be the best daughter, the best sister, the best student, the best friend, the best employee, the best wife, the best daughter-in-law, the best aunt and so on. But the fact is that I failed miserably. I failed in keeping the tag intact. I failed in earning the ‘perfect one’ badge. Flunked in some exams and embarrassed parents. Dared to take some independent decisions in life making my loved ones ashamed. Pointed out a friend’s mistake and lost that relationship. Spoke up against the double standards of an extended family member and became the outcast. In short, at one point or the other, I ended up hurting or spoiling every relationship. The equations changed. The dynamics changed. And in the end I realized that ‘all this was for nothing’. 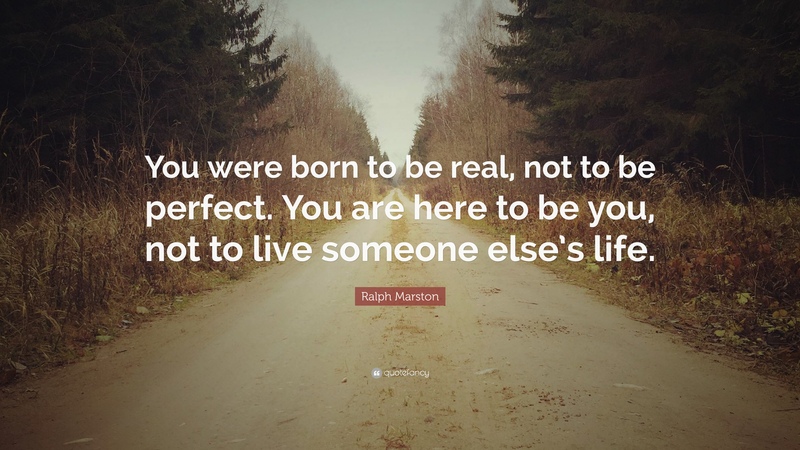 Little did I realize that in doing so, in the race to maintain and retain the ‘best’ or the ‘perfect’ tag, I had completely lost my own true self. I forgot to nurture the real me. In forgot to be true to myself. I forgot to listen to myself. And every once in a while that I did listen to myself, or stayed true to myself, I ended up hurting someone or spoiling some relationship. We evaluate ourselves based on what each of our relationships thinks of us or ranks us. We don’t realize that it is practically impossible to be the best in every facet of life. Also, the very people that we want to please are themselves struggling to cope with their own race to retain the same ‘I will be the best’ tag. There is no way we can all be on the same plane at the same time. The dimensions will differ. The invisible tug of war that we are playing all the time is meant to disrupt everything. We are meant to stumble and fall. But rise up again, we must. This inner scuffle with ourselves to be the best comes naturally to most of us. For some others, it comes from external triggers or pressure points. If you look carefully it is not any of us who are trying to be the best who are living our lives meaningfully. It is those who are not competing with anyone. It is those who look within and nurture their inner self. These are the people who excel in living life meaningfully. Does that mean they aren’t best? No. It only means that instead of trying to be the best at every place and in everyone else’s eyes, they just strive to do something meaningful by improving themselves, by concentrating on themselves and by working on themselves. They did not run behind that invisible medal or award that we have been chasing non-stop. Only to realize that it was a mirage in reality. We ought to learn to be happy and content in our own skin. If we are satisfied with ourselves, nothing else matters. Why? Because there is no definite ‘best’. Learn to be present and enjoy the little things rather than running behind the bigger things and wasting your precious life. Learn to live in the moment. Learn to live mindfully. Learn to enjoy every moment. ‘Perfect’ and ‘Best’, like ‘Forever’, are myths. ‘Now’ is the only reality.